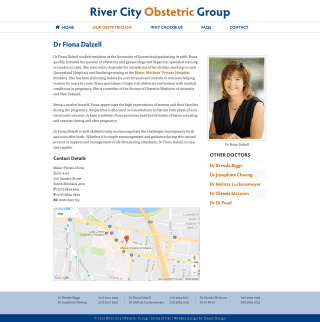 The River City Obstetric Group is a Brisbane-based female specialist Obstetric practice formed in 2003 by Dr Fiona Dalzell and Dr Glenda McLaren with Dr Brenda Biggs and Dr Josephine Cheung and later Dr Melissa Luckensmeyer. 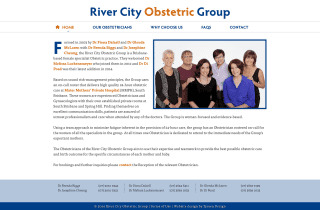 Some of the doctors of the group had individual websites, but they needed one to reflect the group as a whole. I provided a simple, clean, uncluttered design with a focus on good typography and photography. The site is powered by Processwire CMS which makes updating pages and managing contact details and maps a breeze.